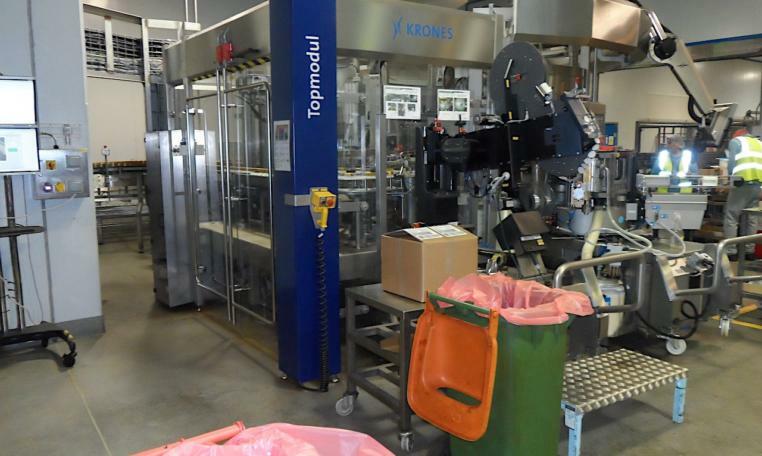 Used Krones Modular Labeler Topmodul II last running front back and neck labels with wet glue adhesive, 36 plates and 3 aggregate heads. 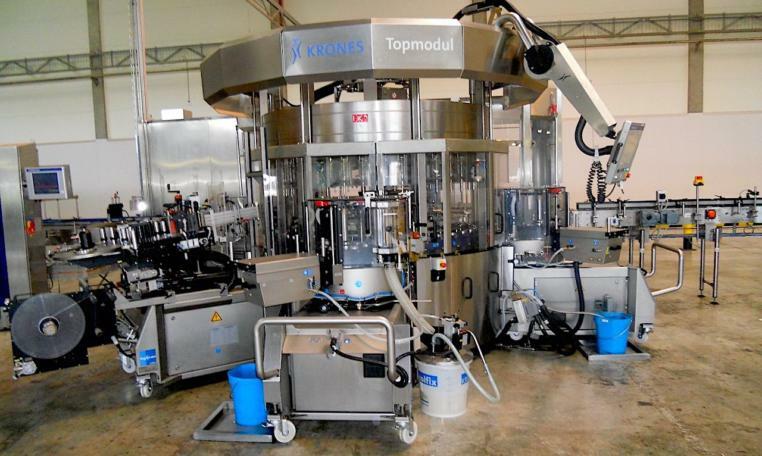 The Krones Topmodul II are multi-faceted, because they are suitable for labeling with cold-glue, hot-glue and self-adhesive labels just alike. 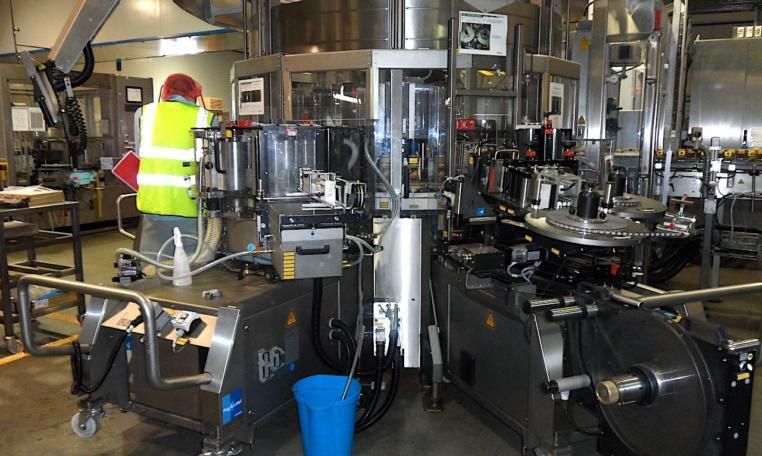 The universal labeling machine is of modular design and can be configured from individual assemblies. 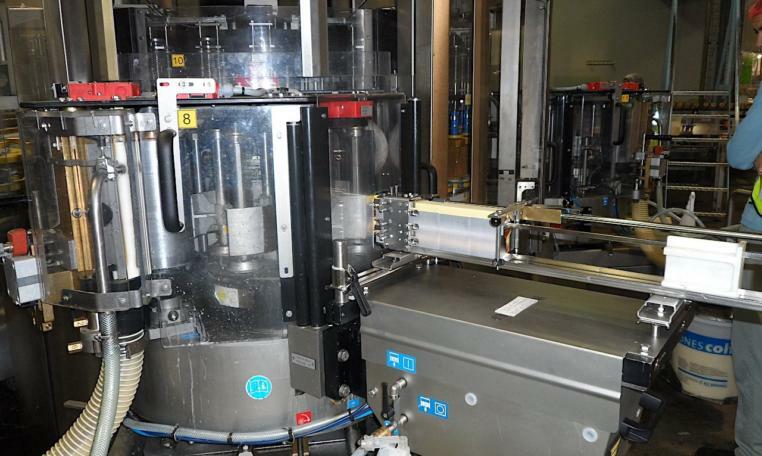 The cold-glue and hot-melt labeling stations or the self-adhesive label applicators can be connected to the main machine as required. 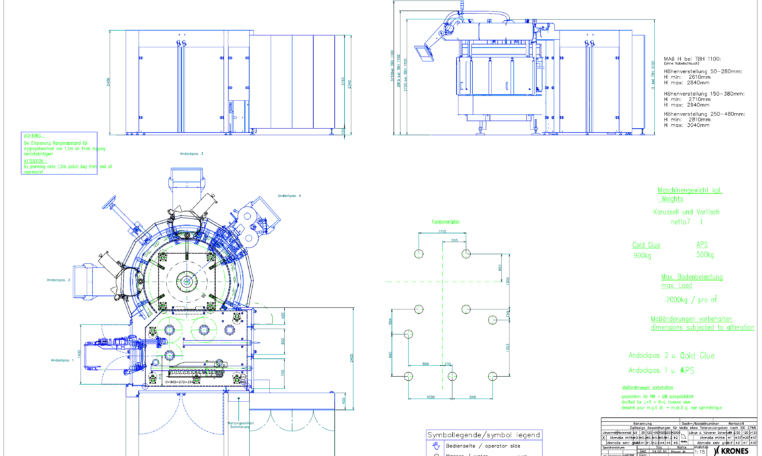 When changing the labeling process, the Plug & Label labeling stations can be replaced easily. 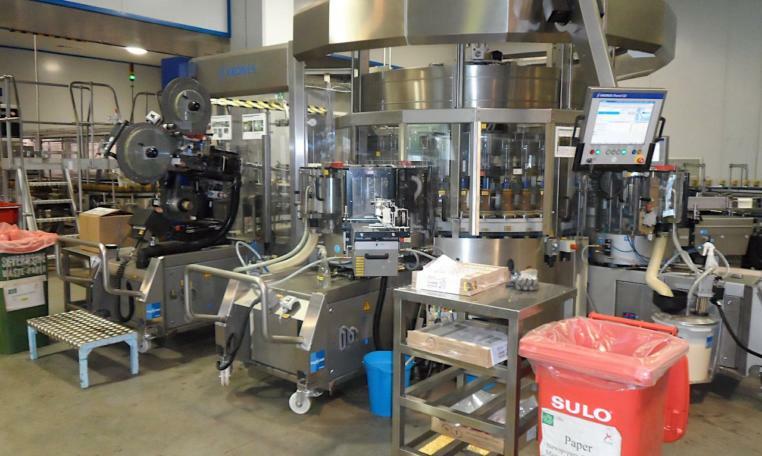 It is also possible to use the cold-glue and self-adhesive labeling stations simultaneously or to change the labeling type after any time.